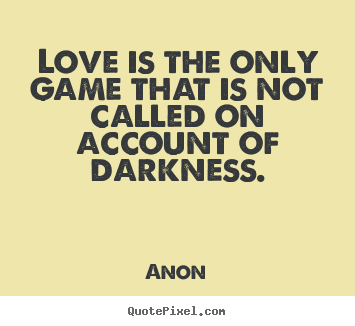 "Love is the only game that is not called on account of darkness." This quote, a favorite on the Internet, may be referring to the dating habits of the general population. But as someone who&apos;s grown up with Asperger&apos;s Syndrome, I find the quip uniquely fitting for the autistic community. Dating on the spectrum involves more darkness than usual. But despite the challenges, the perspective of those on the spectrum reimagines dating&apos;s dark rules through a thoroughly refreshing lens that non-autistics, or neurotypicals, can learn from. When it comes to navigating dating&apos;s arbitrary, retrograde etiquette, self-declared "Aspies" are great at cutting through the bullsh*t.
Dating in a neurotypical world: Autism is becoming increasingly common (according to the Centers for Disease Control and Prevention, roughly 1 in 68 children has been diagnosed with a condition on the autism spectrum), and that means we&apos;re becoming increasingly familiar with the various common quirks of those living the spectrum. Those includes not being able to pick up on interpersonal cues transmitted through body language, facial expression, and vocal tone — in short, the ability to navigate unspoken social rules. Dating, perhaps more than any other area of life, is rife with those subtle rules and rituals. As Matt Fuller, director of the new documentary Autism In Love, put it to Refinery29. "How does someone with those deficits pursue and engage in a relationship that requires so much fundamental communication?" With a good dose of hesitation and confusion, said Gregory, in his twenties and living in the U.K. "You have to flirt, but flirting too much or in the wrong way can kill her interest, and of course these things vary from girl to girl," all while risking being simply dismissed as "weird," he told Mic. Writing for the Toast, Edinburgh-based writer Hope Whitmore described how she often had no idea which emotions her significant other was attempting to express to her. "This created anxiety for me," she wrote, adding that she would repeatedly ask significant others, "Are you angry with me now?" The alternative is to not ask questions at all. Discussing her Asperger&apos;s, Katriona, 21 and also a U.K. native, told Mic, "When I&apos;m around new people, I have no idea how to interact with them and will end up being inappropriate or so afraid of being inappropriate that I&apos;ll seem devoid of a personality." But when those on the spectrum do speak up? That&apos;s where, I&apos;ve found, a dating silver lining emerges. With their predisposition toward bluntness, autistics are constantly told that they&apos;re playing the dating game all wrong. Cutting through the dating bullsh*t: These stories perfectly capture the gamut of my own experiences. I have been faulted by an ex-girlfriend&apos;s parents for social sins like struggling to make eye contact and talking intensely at length about subjects I found interesting without realizing others didn&apos;t feel similarly. Like Hope, I still feel the need to regularly ask potential significant others whether I have angered, annoyed, and/or embarrassed them (the three reactions I&apos;ve been most likely to provoke without realizing). But it&apos;s that regular asking that gets to the heart of the matter: In a way, autistic daters are actually getting something about dating very right. With their predisposition toward bluntness, autistics are constantly told that they&apos;re playing the dating game all wrong. But the vocal, questioning approach by those on the spectrum actually highlights just how confused and quiet dating renders us all. We humans pretend to be uninterested when we are, we let our low confidence inhibit us, we lead each other on and then suddenly ignore each other. Imagine how much simpler dating would be if everyone navigated the scene with the Aspie&apos;s instinct for being straightforward and blunt. It would mean inquiring into people&apos;s emotions instead of dancing around them, or even talking through preferences and quirks upfront, as fledgling dating site Spectrum Singles does. The point is not that everyone with high-functioning autism would be a perfect mate. But as the ever-growing autistic population ventures into the dating world, it&apos;s worth focusing not on autistic daters&apos; deficiencies but on the unique perspective they bring. After all, the dating game would be a whole lot easier for everyone if we weren&apos;t playing in the dark.